To identify issues and areas in communities where utilization of resources, talents and skills can make a difference. To increase Links involvement in the respective communities. To advocate change that will improve the quality of life for all citizens. 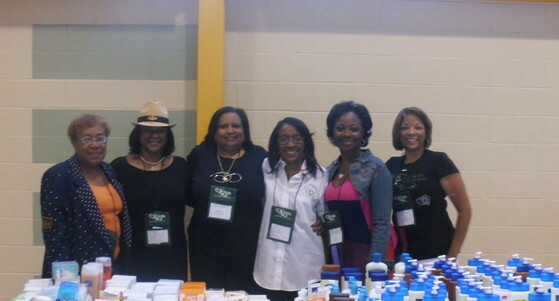 During the Central Area Conference, Hoffman Estates Links worked with Links across the area to pack and delivery toiletries for residents in need. 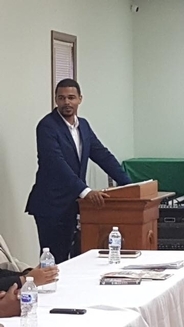 On Saturday, September 15, 2018, the National Trends & Services facet hosted it's annual "Know Your Rights" seminar at St. James AME Church,1100 Summit St., Elgin, IL. 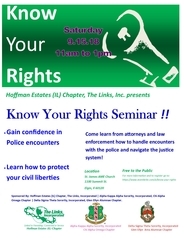 The goal of the event was to educate the community on their rights when dealing with the police and how to reduce negative interactions between the community and law enforcement. The seminar brought awareness to how voting, understanding legislation and being active in the community can foster positive relationships with law enforcement and the criminal justice system. Community residents learned valuable information on what to do and say when pulled over by law enforcement. Attorneys informed the community of their rights when dealing with the police and prosecutors provided resources information. 2. Acknowledge the officer by turning on your flashers/ hazard lights. This lets the officer know that you see him and are about to pull over. 3. Pull over to a well lit area where people are around. Avoid secluded areas if possible. This will put both you and the officer at ease. 4. Stay in the car. Roll down the driver side window. Turn your car off and place your keys on the dashboard. If it's night, turn on the lights inside of your car. 5. Place your hands on the steering wheel and keep them still as the officer approaches. 6. Be respectful in tone and attitude. This will also help to diffuse the situation. You may ask the officer why he pulled you over but usually the officer will engage you once he approaches the car. Remember that both you and the officer want to leave the traffic stop without an incident. 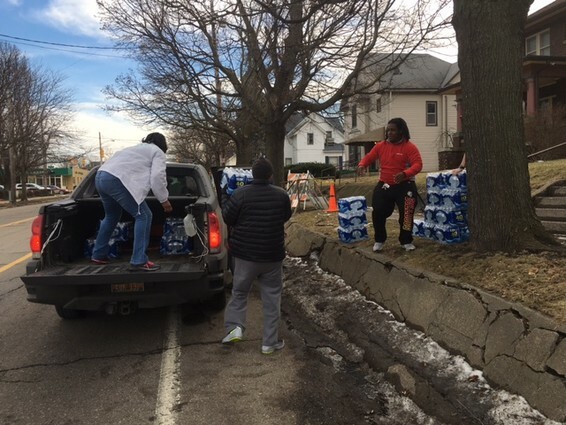 Members of the Hoffman Estates Chapter drove to Flint Michigan to deliver cases of bottled water to needy family. 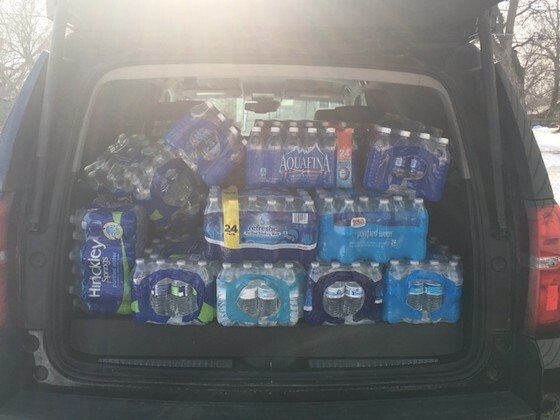 The Hoffman Estates Chapter supports the National Trends and Services facet by providing supportive resources to of the Community Crisis Center in Elgin. The Crisis Center is a home for battered women and their children. Chapter members serve at the soup kitchen and also provide toiletries and other items such as diapers and child car seats. Chapter members also host a Christmas party for the children with toys, food, festive decorations and fun activities. 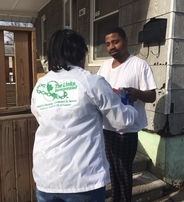 Annually the chapter collaborates with the chapters in the Chicagoland Area Cluster to participate in the HBCU Walk-a-thon to raise money for Historically Black Colleges and Universities. 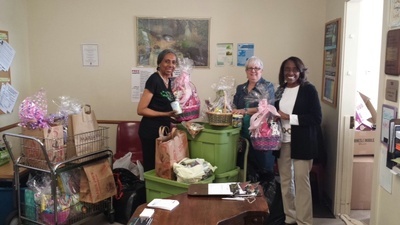 For Easter, the chapter collected and distributed Easter baskets to the Crisis Center of Elgin, IL. The children received baskets filled with candy and stuff animals while the women received baskets containing toiletries, makeup and other beauty products. 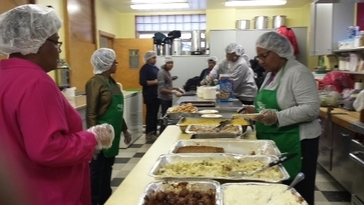 The chapter partners with Second Baptist church in Elgin, IL to provide meals for the Elgin Crisis Center Soup Kitchen. 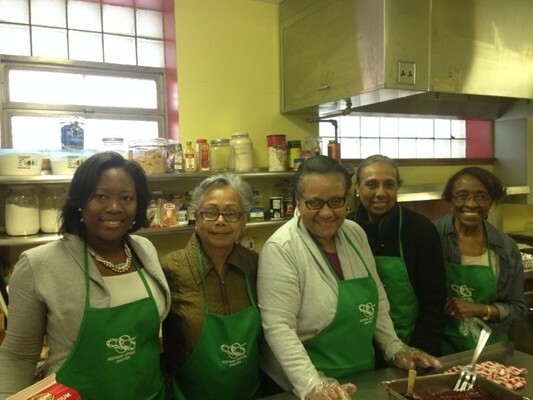 In April 2014 the chapter helped served hundreds of people who were in need of a nutritious meal.